Washington has informed Warsaw that Trump is considering inviting his Polish counterpart, Andrzej Duda, to the White House in mid-June in order to iron out the last differences regarding the United States' potentially increased military presence in the Eastern European country, the Polish Rzeczpospolita newspaper reported on Sunday. If Trump and Duda resolve all the problems during their possible meeting in June, the US leader could make the announcement during the World War II anniversary celebrations. The Polish presidential office, in turn, refused to back or dismiss the reports and simply confirmed that Trump was welcome to come to Poland on 1 September. 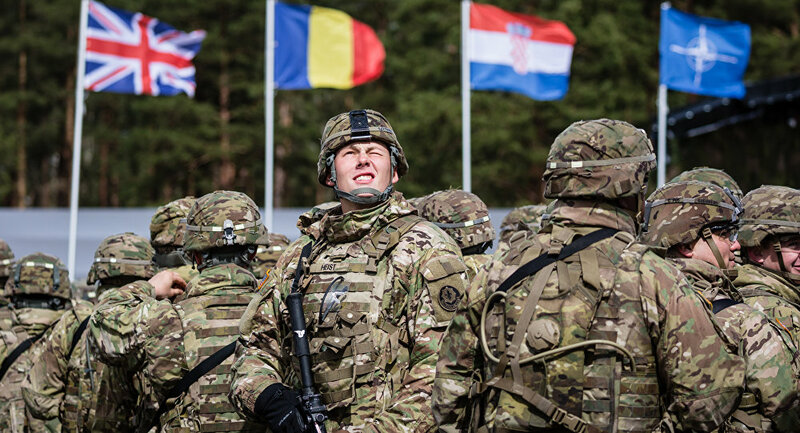 Poland currently stations around 4,000 US troops, which were deployed in the country as part of NATO's mission in the wake of Crimea's reunification with Russia in 2014. During Duda's visit to Washington in September, Trump announced that the United States was considering establishing its permanent military base in Poland. The Polish president offered to pay around $2 billion of the total costs and suggested that the base should be named Fort Trump. US Ambassador to Poland Georgette Mosbacher said in February that Washington could increase its military presence in Poland by hundreds of troops. What Should Britain's “Europeans” in Poland Prepare for After Brexit?